A while back I made a set of cardboard bear heads. They are painted by hand and glued and there is a little string hangar on the back. I took photos if them and then combined the faces with some other drawings I made. Sometime after this poster was born. 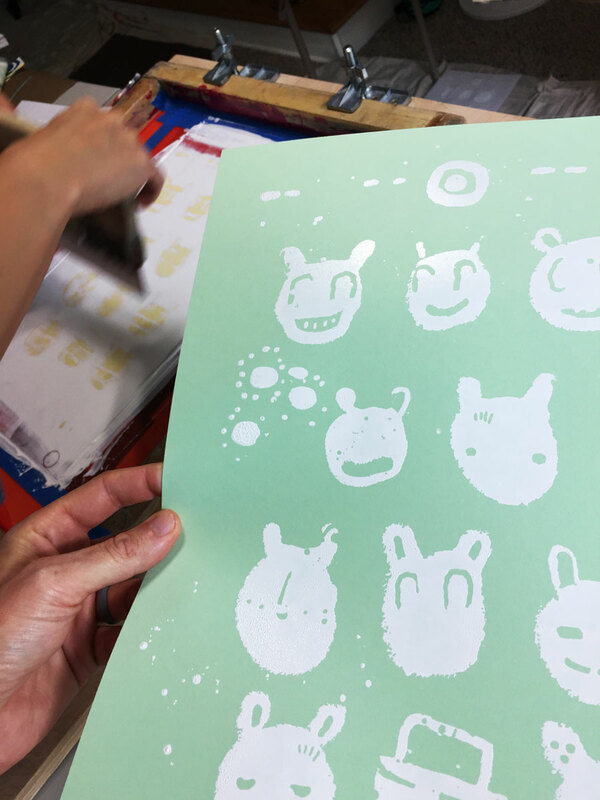 We made a 2-color silkscreen poster here at the BlackCatTips studio. I wrote a little story of a family reunion picnic gone awry — like I would imagine a lot must do. A family picnic sounds like a good idea but then you get knee-deep and the wind blows funny and all the sudden it is decided to just call it off and head back home. The bees came to visit, the basket sprung a leak and lil’ Bobby had a rough go. 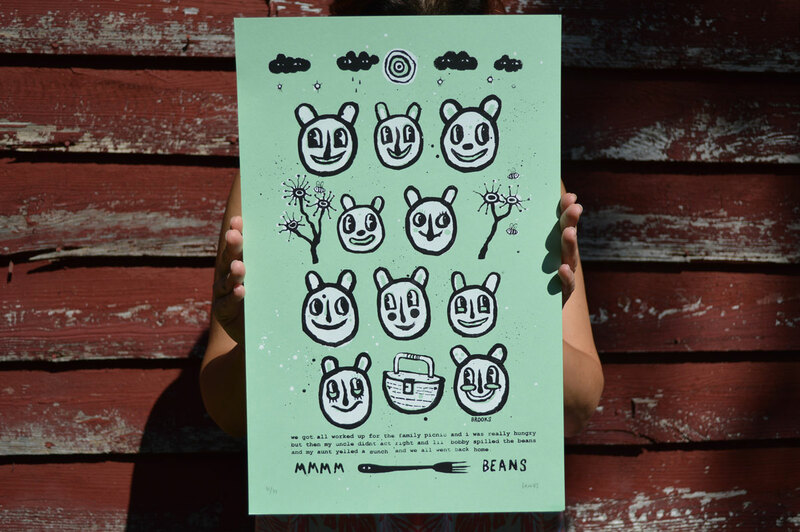 Buy yourself a Bobby and the Beans poster here. 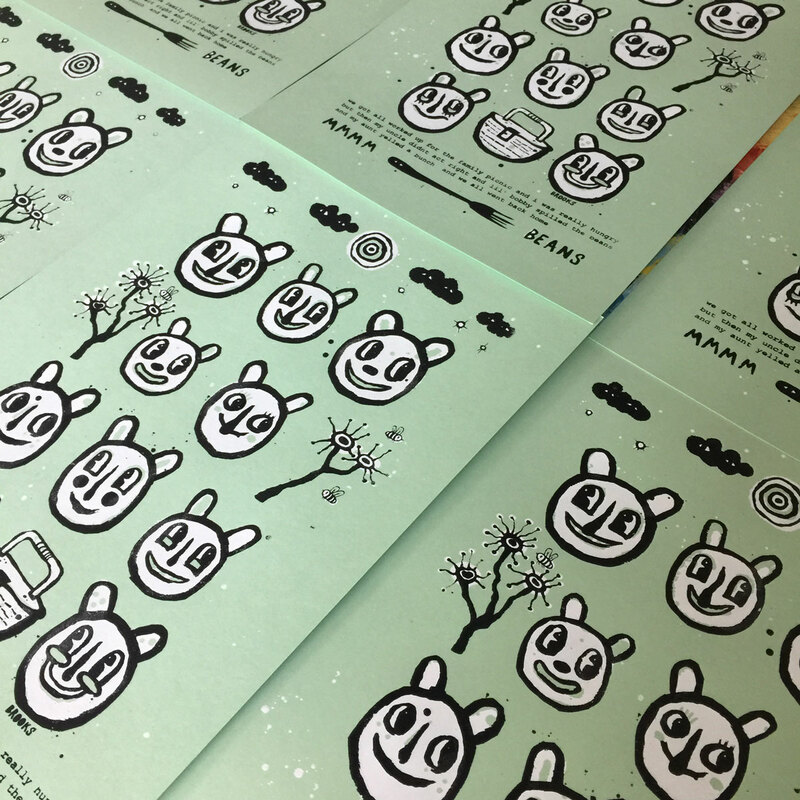 This entry was posted in poster art and tagged blackcattips, kyle brooks art, poster, silkscreen. Bookmark the permalink.